Take a virtual tour of the lab! Booking the experimental booths. Booths 1-4 are managed by SONA for dissertation students and SONA must be used to book them. Booking the Creative Methods Lab, Teaching area and transcription booths. View current bookings. 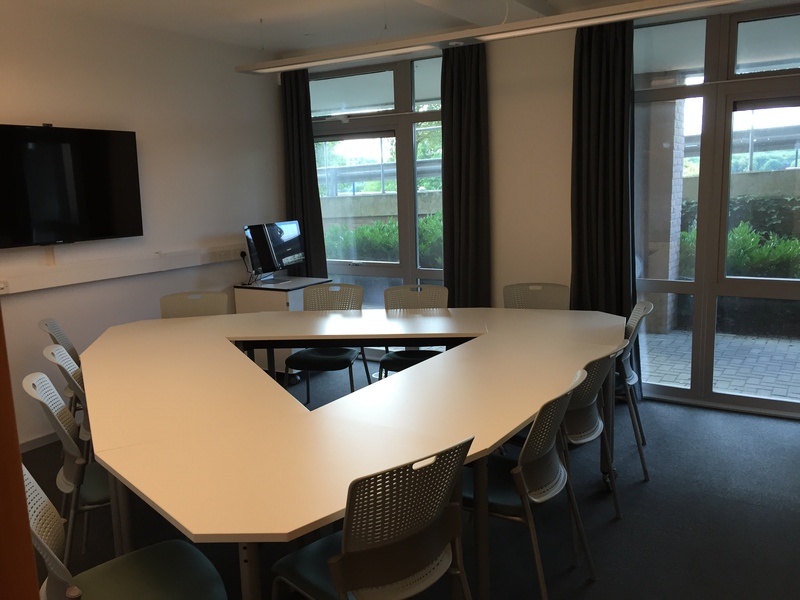 If you are a psychology student and you’d like to book the creative methods lab, teaching area or transcription booths please speak to Joe the psychology technician, or your supervisor if you’re Level 6. If you are a member of psychology staff you can book the spaces either by contacting the psychology technicians, or make a booking here. Important note on the Creative Methods Lab: The Creative Methods lab has been funded by the Transforming Sexuality and Gender Research Cluster, so Cluster bookings take highest priority. Staff associated with Psychology can book the lab if it is not required by the Cluster. Priority is given to the cluster, then psychology. If a booking is made by a lower priority need it may be cancelled if a higher priority need arises.